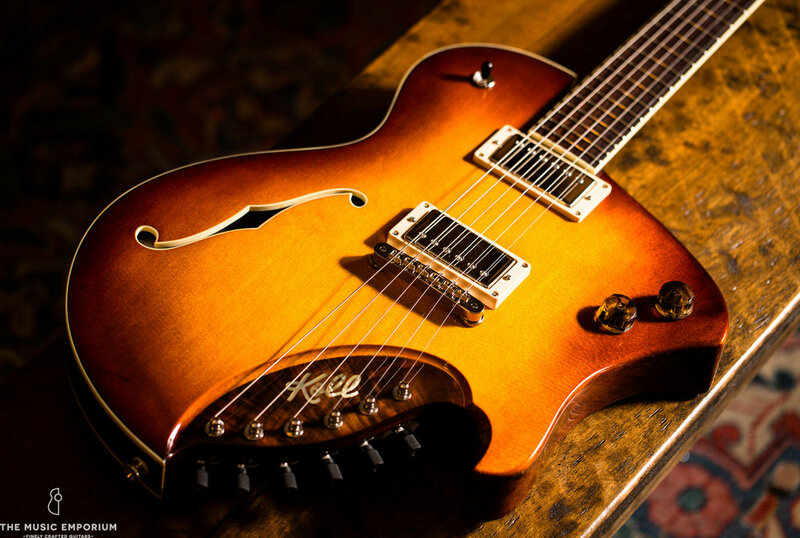 new Koll RE Archtop at The Music Emporium — Koll Guitar Co.
To say the Koll RE is a rare bird is an understatement. Most diehard Koll aficionados have never even held one. Saul's only made about 15 of these ergonomic archtops since designing this model back in 1991. An enormous amount of time and craftsmanship went into this spectacular instrument: carved Sitka spruce top, bent maple sides, carved Oregon big leaf maple back, and a patina-ed brass endpiece. 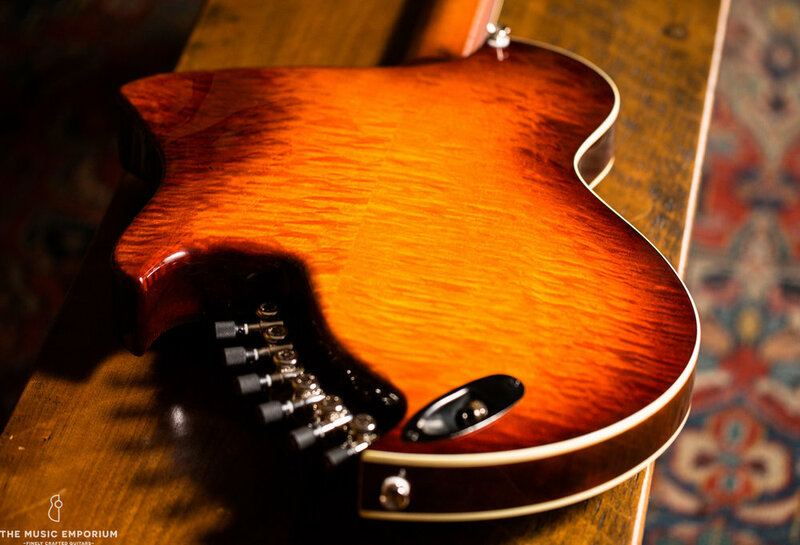 It's as light as a feather and designed so that the neck is naturally in the optimum position for effortless playing. Saul explains: "The Re Model has evolved in many ways over the years, but I built the original in 1991 for jazz guitarist Ron Eschete. That's where the 'RE' comes from. The basic construction philosophy was much like a traditional archtop jazz guitar: carved spruce top, carved maple back, bent maple sides, etc...The general idea behind this model is to have the voice and character of a big jazz box but in a compact, headless, ergonomic design." There's normally a two-year waiting period for one of these if you order a custom build, so this is a rare chance to experience a Koll RE without the wait. Lots more photos here. Contact The Music Emporium for purchasing details.